Hello everyone! It's March Break week here in Toronto! There is lots to see and do, and of course it's always better to have some music to go along with your fun! For this week's Music Monday, Viva la Dolce is happy to feature, Tiziano Ferro (a longtime favourite artist!). The song featured is, "'Solo' è solo una parola" ("Alone is just a word"), which is the sixth release from his latest album, "Il Mestiere della Vita" ("The Profession of Life"). 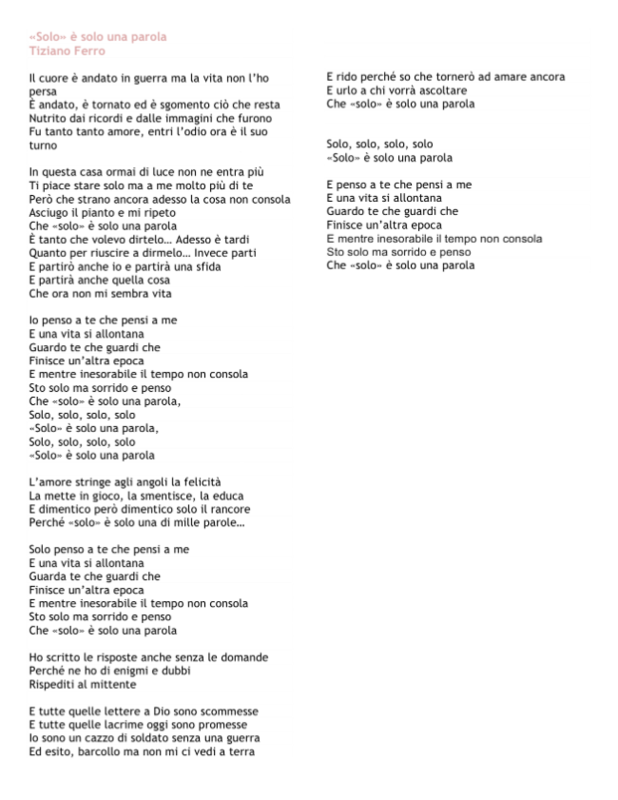 This song's opening lyrics state, "Il cuore è andato in guerra, ma la vita non l'ho persa" ("My heart went to war, but I haven't lost my life"). This sets the tone for an emotional ballad which, written by Ferro himself, describes a rocky relationship that has come to an end. 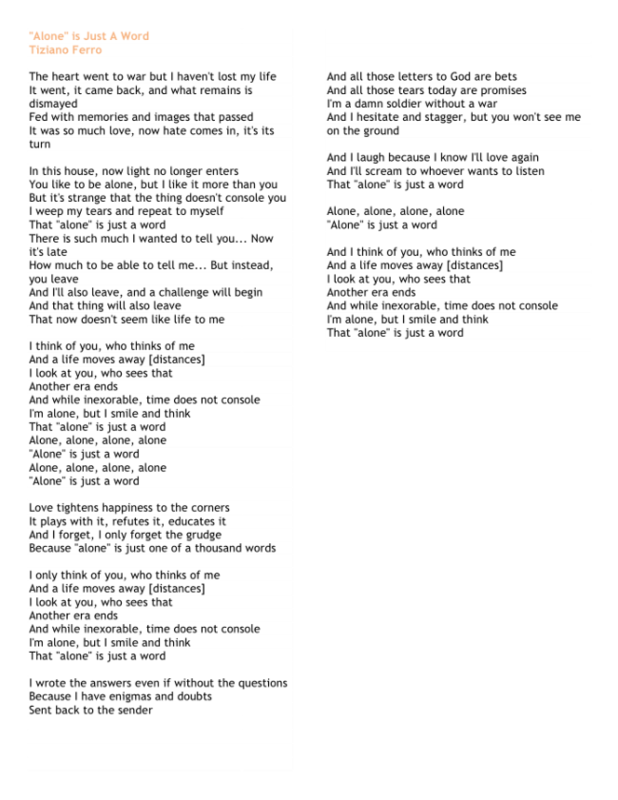 The ballad also sheds light on the determination to overcome one's heartache, and survive on one's own, as Ferro states, "'solo' è solo una parola," ("'alone' is just a word"). Be sure to check out the dramatic video below, where Tiziano Ferro and Italian actress, Violante Placido, portray the battle between love and hate in this relationship.